CALLING ALL WOMEN! Come to the warm waters of Mexico to swim in the sea, deepen your yoga practice, meet other women & explore your radiant spirit! 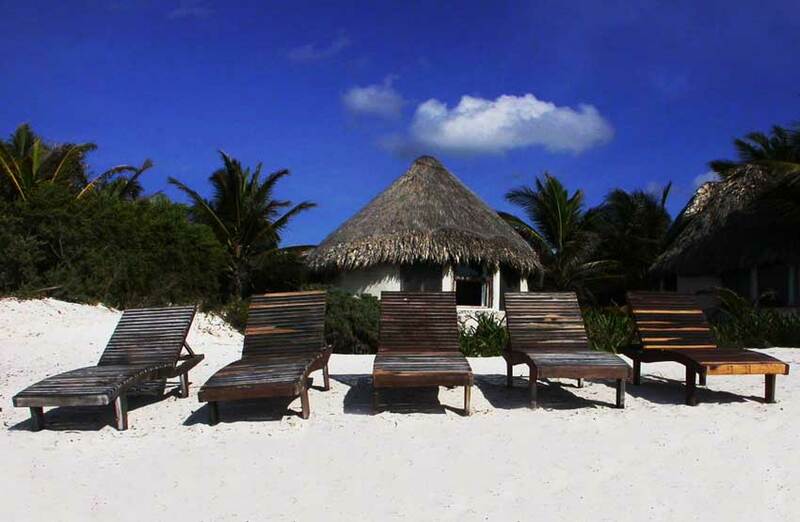 At Maya Tulum Resort & Spa, the front yard is a gorgeous coastline where the turquoise waters of the Caribbean Sea meet soft white sand, so you will have the opportunity to swim & snorkel in the sea just steps away from your cabana! You can also pamper yourself at the spa, go on extraordinary excursions, make beautiful jewelry, practice lots of yoga, and connect with yourself, as you look within and find the deep beauty that rests there. COME AND ALLOW YOURSELF TO BE TRANSFORMED! 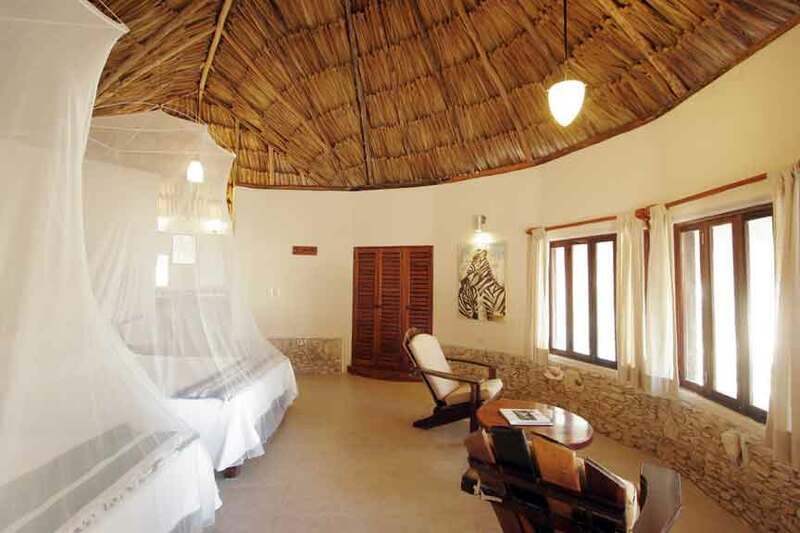 Participants will be staying in private thatched-roof cabanas. Rooms are intentionally simple with no telephones, computers, or television sets so as not to distract us from the peace that rests naturally within us. There is no air conditioning, but there are ceiling fans. The resort is right on the beach so the nice ocean breeze helps to keep the rooms cool as well. 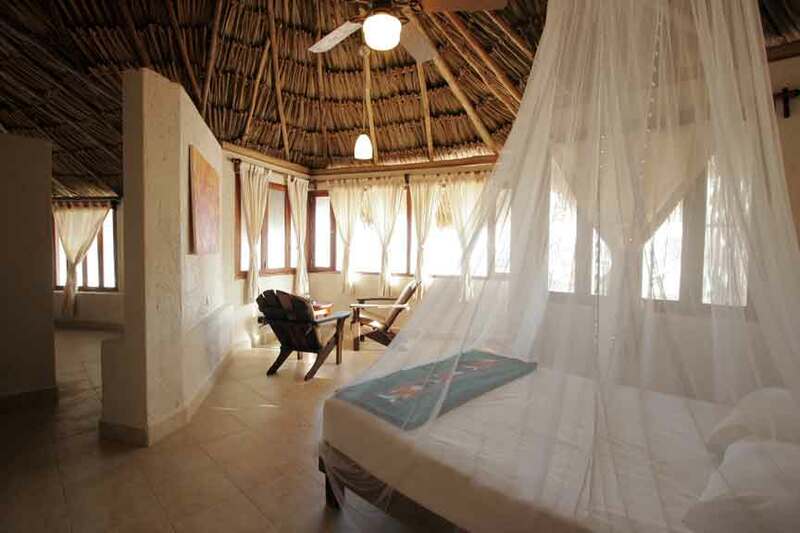 To read more about accommodations at Maya Tulum, please click here. Meals at Maya Tulum are delicious and nutritious, with fresh fruits and vegetables in abundance. Meals are mostly vegetarian with fresh fish options at lunch and dinner. If you have any special dietary concerns, the chefs at Maya Tulum will do their best to cater to your needs. To read more about sample meals at Maya Tulum, please click here. 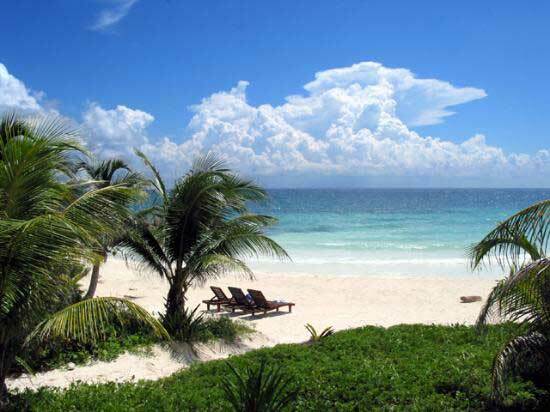 The most affordable flights to Mexico as of 1/17/07 are on American and can be purchased through Travelocity or Orbitz. The flights From SFO (San Francisco) to CUN (Cancun, Mexico) are currently $393 ($510 total, including tax). Our retreat begins on Saturday, June 23rd with dinner at 6:30 pm and an opening ceremony following dinner from 8 to 9 pm. Our retreat will close on Saturday morning, June 30th, with breakfast at 8 am. Depending on travel plans, you can choose to arrive on Friday, June 22nd to ensure that you are here for the opening ceremony, or you can arrive late on Saturday night (but you would miss the opening ceremony). We will accommodate latecomers by allowing time on Sunday morning to introduce travelers who could not take Friday off from work. For info on getting there, please click here. 2. Send a $300 deposit (non-refundable, but transferrable) to Jackie Long. For FAQ’s (what to bring, passport requirements, cell phones, guest phones, currency, flights, etc. ), please click here.